Store heat to master your energy. 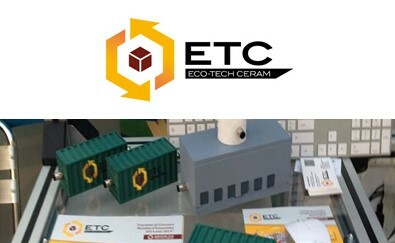 Thermal energy storage solutions using refractory ceramics produced from inorganic industrial waste. Eco-Tech Ceram develops new eco-efficient, transportable and modular thermal storage solutions. Inorganic secondary raw materials (such as coal fly ashes) is transformed into refractory ceramics, thus offering a low cost storage material. The main challenge is the reduction of CAPEX (€/kWh th installed) for a thermal energy storage technical solution for heat intensive industries. A new concept for waste heat recovery for temperatures of between 200 and 1.000°C, with low CAPEX/OPEX, based on the implementation of ceramic materials inside a container (20 feet) named Eco-Stock, well adapted to small and medium industries. 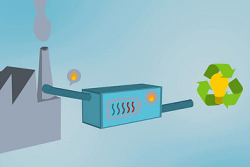 With Eco-Stock, waste heat can be captured, stored and delivered from 5 €/MWh th. Efficiency > 92% per cycle. Low-cost energy (from 5€/MWh th).